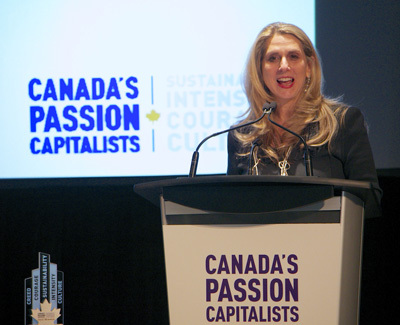 Torys congratulates the 10 winners of the inaugural Canada’s Passion Capitalists awards, announced on November 9, 2012. These organizations have achieved long-term success by creating Passion Capital – the energy, intensity, and sustainability needed to generate superior results. Torys is proud to be a sponsor of Canada’s Passion Capitalists awards. BNN has profiled the winners of the Canada’s Passion Capitalists awards. View the videos here. National Post describes the power of Passion Capitalists in "Harnessing the intangible." Cheryl Reicin, one of the national judges, hosted a reception for the Ontario regional finalists of the Canada’s Passion Capitalists awards on Monday, November 5, 2012.